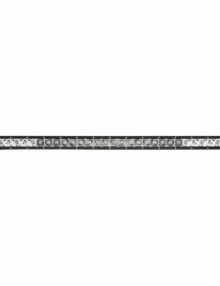 The SR-Series PRO LED Light Bars provide a sleek, low profile lighting solution that measures less than 2\” tall. Thanks to improved LED technology, the SR-Series PRO now offers more light output than ever before with up to 111% more raw lumens. As the name implies, the SR-Series PRO utilizes a single row of LEDs with your choice of Hybrid or patented Specter optics in a variety of beam patterns. Ideal for applications where space is limited, the SR-Series PRO is a powerful light source designed to project light at extreme distances while consuming very little power. 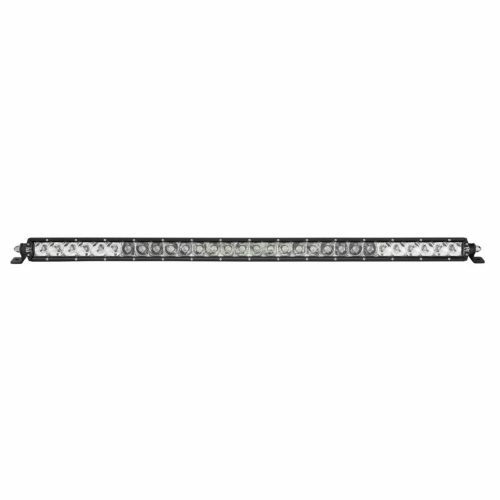 Available in a wide range of lengths and configurations, these LED light bars can be used on virtually any application, whether it\’s an off-road vehicle, industrial, agricultural, or marine.\nRIGID\’s SR-Series PRO lights utilize extruded aluminum housings and are available with either a black or white durable powder coated finish. Along with improved LEDs for more output, the SR-Series PRO benefits from new branding and blacked-out circuit boards for a more refined look. They feature the same superior build quality as the rest of RIGID\’s lighting products, providing reliable and efficient lighting on demand.